The Flashback Universe will be taking a little break from posting. A lot of comics don't show up on the Rutgers search site, and I think that might be cases where the characters are trademarked - but what about cases where the companies were unable to trademark the characters, as with comics based on celebrities? What is the public domain status of those comics? If I had to guess, I would say that while the comics might be in public domain, you would be unable to republish them without the expressed consent of the celebrities in question. So, as an open question to readers today - does anyone know the public domain status of the old Bob Hope, Dean Martin and Jerry Lewis comics from the Silver Age? I know that in both cases movies and radio shows featuring these comics have fallen into public domain, so I'm inclined to say that the comics have as well. So inclined, that today I offer up a couple of Jerry Lewis and Dean Martin comics for today's Free Comics Monday! Seems like everyday in comic news, there is some new sales statistic, company shakeup or industry innovation that gets tongues wagging on the oncoming death of paper comics. However, there is an omen of ill portent that the soothsayers have been ignoring: Captain Comet! He first appeared in 1951 in Strange Adventures 9 in a story called Air Bandits From Space! Created by Julie Schwartz, John Broome and Carmine Infantino he was the first Mutant Superhero in DC Universe. 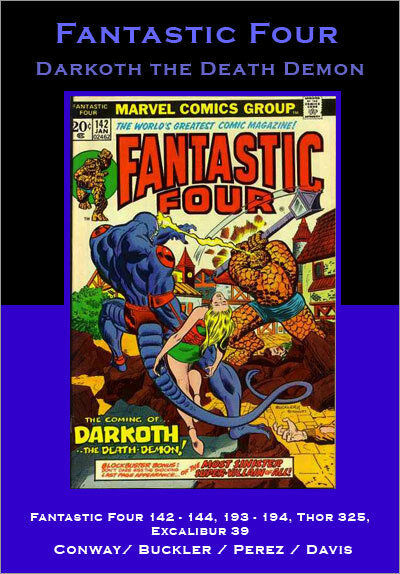 (Much like Namor is the first mutant in the Marvel Universe) During his run in the title, he would usually appear on the covers, but in 1954 his appearances were discontinued. After that he was mothballed until 1976 when he would return and begin his role of harbinger of doom. In 1976, Gerry Conway revived the character for use in the Secret Society of Supervillains 2 (a series I've covered here before.) He was a mainstay in SSOSV for the run of the title during which his popularity grew among readers. According to DC Answer Man Bob Rozakis, Captain Comet came in second in a reader poll to determine who the next member of the Justice League should be. But then tragedy struck the industry when the DC Implosion caused the cancellation of more than two dozen titles including SSOSV. And while it's hard to really say what caused the DC Implosion, witnesses will attest to seeing a gun wielding mutant at the scene. From there the character drifted in a sort of DC limbo appearing with Superman in DC Comics Presents and making a cameo appearances in other titles like All-Star Squadron. Note to DC - in the 80's you had a comic book where Superman teamed up with other superheroes for fun done in one stories. 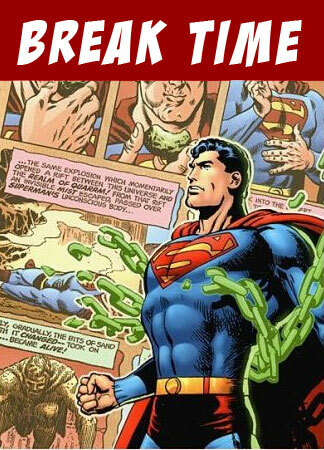 Now you have a comic where Superman just sort of walks around issue after issue. How's that working out for you? Captain Comet's last appearance in DC Comics Presents was issue 91. 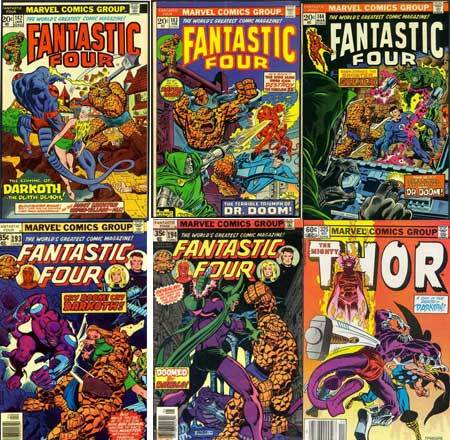 The series was cancelled 6 issues later. Captain Comet's last appearance in All-Star Squadron was in issue 53. The series was cancelled a year later with issue 67. After this going so long without a real home title, Captain Comet was added as a member of L.E.G.I.O.N. in 1990. Actually, the character meant for the spot in the title was Adam Strange, but there was this really bad prestige series that going to feature Strange, and DC didn't want there to be a conflict in continuity or sales focus or who knows what. As a result Comet was a regular character in the title even following it's change in title to R.E.B.E.L.S. until the title was cancelled in 1996. It was right around this time that the 90's comics speculator boom ended and almost destroyed the industry. Coincidence? I think not! Perhaps it Captain Comet and NOT too many foil covers that actually led to the 90's collapse. If you still don't believe me, consider recent comic events. Up until 2005 Captain Comet disappeared off the comics radar until Jim Starlin used the character for his Rann-Thanagar War and Mystery In Space mini-series. And 2005 is exactly the same time that Marvel and DC started having constant crossover events which have been burning out readers left and right. Chilling, isn't it! And now Captain Comet is a featured character in the new REBELS series written by Tony Bedard (who I've always liked). The series is up to issue 21, so Bedard seems to be wrangling the Captain's curse well, but with so many recent appearances of DC's favorite Space Mutant, can there be any other reason for the current slump in comic sales? And what can these ongoing appearances portend for the future of comics? So there you go. It's not economic recessions, digital sales/piracy, event fatigue or high prices that are killing comics. It's the first man of the future born a hundred thousand years before his time! Most of my entries for the Collected Comics Wishlist are serious suggestions which I think would actually stand a chance of getting collected and might actually sell pretty well. This one not so much...for today, I put forth the burning question: Where is a collection that brings us all the great stories featuring Darkoth, The Death Demon? Speaking of Erik Larsen, that brings up another Collected Comics Wishlist entry, but this one is more serious. Why has Marvel never collected the Worlds Greatest Comics Magazine mini-series that Erik Larsen and Eric Stephenson worked on? This was a fun series that was designed to sort of be an imaginary wrap up of the Kirby/Lee run on the Fantastic Four with art and story that fits perfectly for the time period. Am I mistaken in thinking it's never been collected? Maybe the timing was just wrong. It's not old enough to be fondly remembered by fans today and it's not new enough that it was automatically collected into a trade (like current runs.) It's also an awkward size (12 issues) whereas current trades clock in around 6 issues. Still, hasn't Avengers Forever been collected several different ways? That was 12 issues and came out at about the same time.